Strength Monsters Trading Card Sets are finished, packed and ready to go the next convention. There are 17 Cards total featuring characters and Submissions plus one sticker. 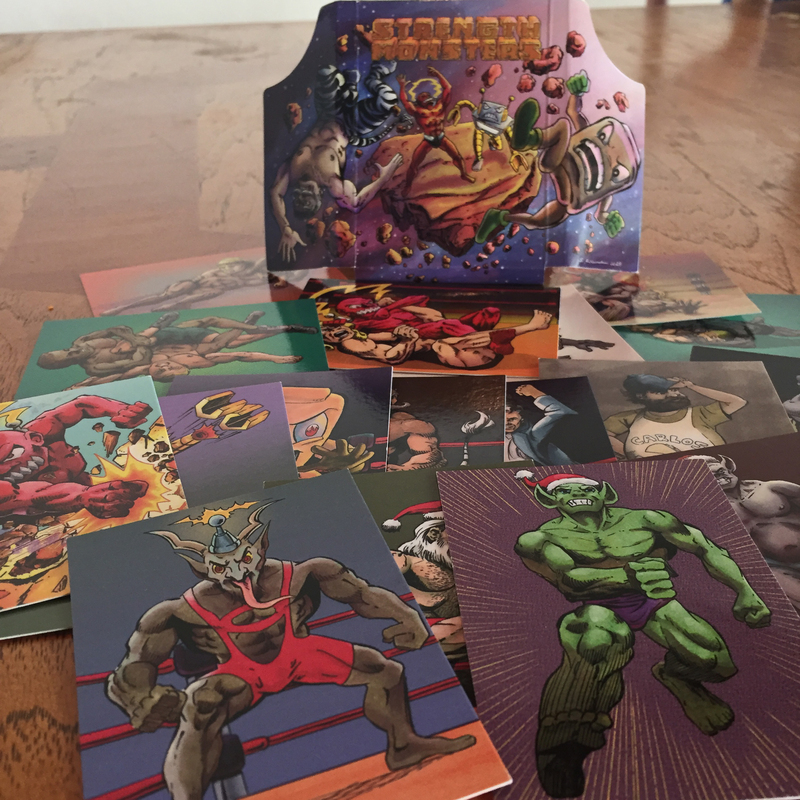 The cards come in a collectible box featuring fold-out panoramic illustration. 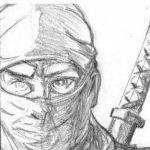 All the cards are written and illustrated by me visit my Strength Monsters Website to see more cool pictures or them or click on the link below. It was an honor to be able to participate in this years Annual Joe Sinnott Ink Well Challenge. Pictured below is the legend himself Joe Sinnott after signing this years pages. The circled page is mine. After watching season two of Dare Devil I had to draw a quick Punisher. I like the old school Costume the b est. Pencil and Water Color Sketch I did from Batman Vs Superman my favorite iteration of Batman ever put on film. Jiu Jitus Magazine ran a really cool interview article with my Brazilian Jiu-Jitsu coach Chris Haueter this past month. In it he talks about the Graphic Novel Project we’ve worked on over the years and you can check out the comic book page we collaborated on a number of years ago. You can see the most recent illustration I finished for this project here. Check out this article about M.U.S.C.L.E. Millions of Unusual Small Creatures Lurking Everywhere and it’s influence on Strength Monsters! 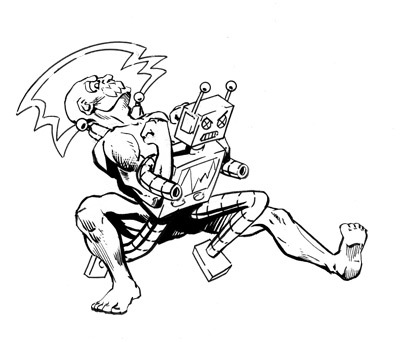 Source: Wanna Be Comic Book Creator Rips Off Kinnikuman! New Video Unboxing Mike Witherby Pages Plus A Live Call With The Man Himself! Pencils of an Alien Cowboy by A.J. Fulcher! I Only Have a Few Hard Copies Of My Comics Left! 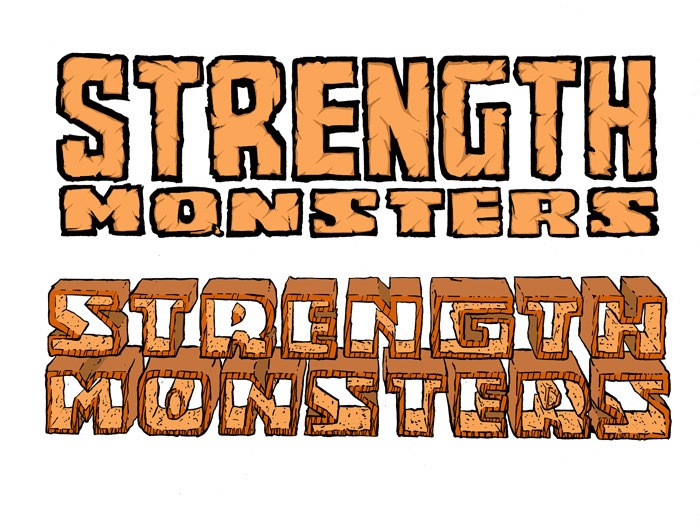 Strength Monsters Kickstarter is Live! Mike Witherby Joins the Strength Monsters Bullpen! Superman Will Punch His Way Through The Universe! Not long ago I wrote about how Superman is Immortal and can do anything not only in comic book but also in real life. There are no limits to absolute absurdity of Silverage Superman which is probably why it’s one of my favorite eras in this characters comic book history. This 1979 Corgi Supermobile Diecast Spaceship is no exception! Superman Is Immortal And Can Do Anything! Action Comics # 1 featured the first appearance of Superman and has been recognized by historians as the beginning of the modern-day comic book superhero. The book was published in 1938 and cost 10 cents. The winning bid was placed by John Dolmayan, drummer of the band System of a Down, on Friday evening, on behalf of an unidentified client. This is one of the highest prices ever paid to date for a comic book. Not to say see I told you so but anyone in my family can attest to the fact that years ago I predicted at many a dinner table discussions that a high-grade golden age key issue comic books would hold up better in a down market than any stock. I stand to be corrected. Notice I said Golden Age and Key Issue. Further more this is why I love Superman because not only can he do anything in Comic Books but he can also do anything outside of comic books. Many people dislike superman for the fact that he cannot be killed. But it is true he can’t be. The character is now more than 70 years old and he will be around long after you and I are far gone. Since the time of my original note posted on March 15th 2009 another issue of Action comics # 1 sold recently for exactly $1,000,000.00 dollars this is LESS THAN A YEAR LATER and in the middle of an ongoing economic recession. Then following month March of 2010 another copy of Action Comics # 1 sold for 1.5 million. Of course all the financial advisors are now saying that this is a record that will not be surpassed for some time. However the same thing was said last year when several Golden Age Comic books (All Key Issues) Surpassed the 1 million dollar mark. The proof is in the history it will be a short time and I will be updating this note again with books selling for even greater prices. Yes you would be wise to sell off your 401K and buy Golden Age Comic Books as Crazy as that Sounds! Get rid of your financial advisor who does little more than leach off the success of others give wall street the middle finger and start investing in real commodities. Action Comics #1 Sells at auction on ebay for $3,207,852. Another record! I’ll admit it, I didn’t even think the book would go this high this fast. But am I shocked? No I’ve been following the sales of Golden Age Comic books for years. The physical scarcity of this comic book and the demand for it is actually real. I believe a copy of Action Comics 1 will surpass 5 million in my life time. Now here is a word of caution I have a small suspicion that Chuck Rozanski of Mile High Comics has several ungraded pristine copies of Action Comics Number #1 sitting in a vault somewhere. In fact I’ve heard rumors that he’s got one half of a short box full of them and should he suddenly flood the market with those books the price could drop exponentially. However these are all unconfirmed rumors. Trouble On The Streets! 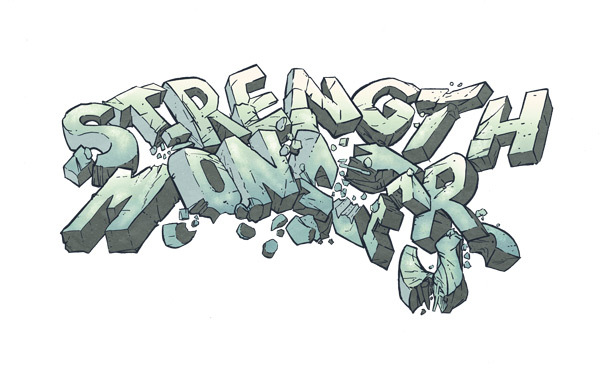 A New Panel From My Forthcoming Comic Book Strength Monsters in Ultra Mayhem! This Michael T. Gilbert page is another one of my prized pieces of original art I’ve saved over the years. I found a number Mr. Monster Comics in the back issue bins of a local comic book shop in the late 1980s and loved book. If you are unfamiliar with Mr. Monsters it is an over the top primarily black and white independent comic book from the 1980s about a guy who takes care of business when Monsters show up. Michael T. Gilbert based his character Doc Stearn on a golden age Mr. Monster character who appeared only twice created by a Canadian artist named Fred Kelly who left comics shortly there after and allowed his creation to fall into the public domain. Having a long time intrest in heavy metal and rock music my research eventually lead me to studing blues music and finally to Robert Johnson. 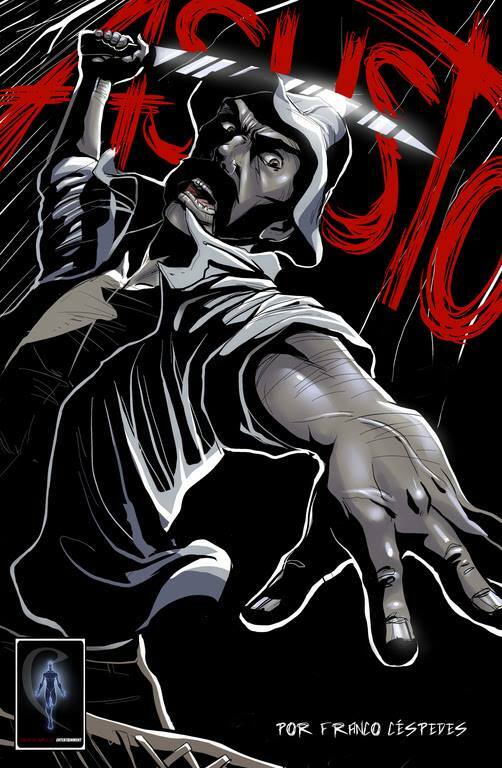 The all documented all true manga about the legendary blues great Me and the Devil Blues: The Unreal Life of Robert Johnson is beautifully illustrated and historically accurate book following the journey of a man who was rumored to have sold his soul to the devil to inorder to become the greatest blues man of all time. I strongly recommend picking this book up. If you don’t believe me on how good it is you can read almost the entire thing online for free on Manga Eden here. But I think you will want to own your own copy.